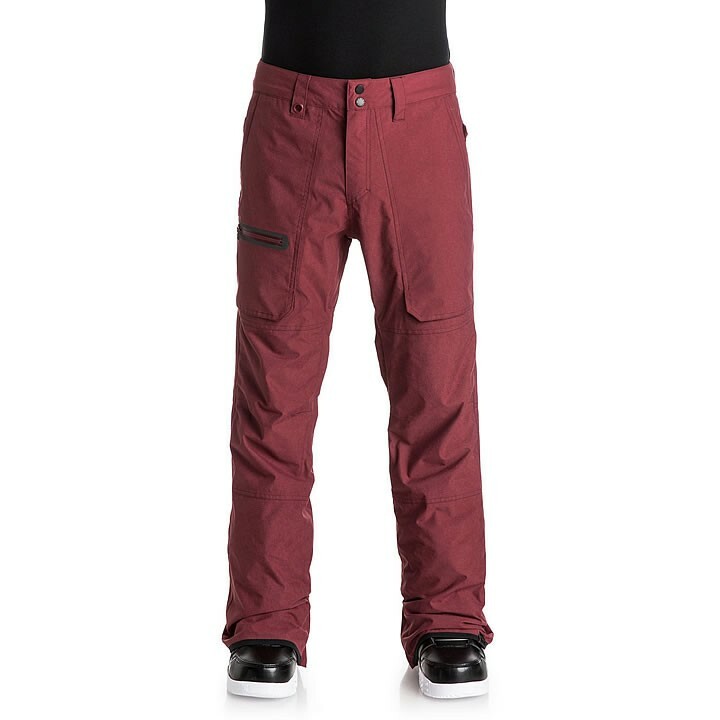 With the Quiksilver Dark and Stormy snowboard pants you'll be ready to ride the storm. Quiksilver DryFlight® technology makes for an extremely breathable 15K waterproof fully-sealed shell that protects from the elements. A taffeta and mesh lining with brushed tricot panels keeps you warm while allowing moisture from intense activity to escape and a jacket-to-pant attachment system seals out snow and powder. Mountain-function collides with progressive styling thanks to the all-over prints, dark and stormy colorways and a tailored fit that offers the best of relaxed and slim fits for a mix of style and mobility.